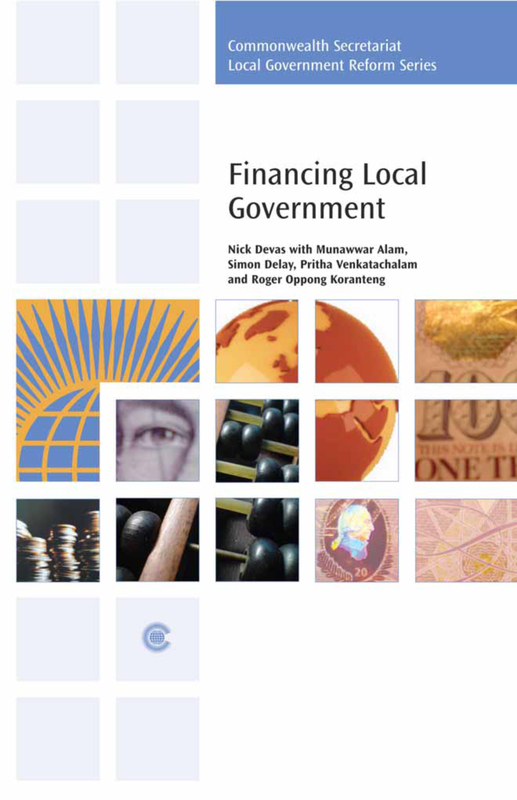 The experiences described in this book will help local government managers, and national policy-makers charged with local government finance issues, to ensure that they follow good practice in their own programmes of local government reform. Nick Devas is Director of the International Development Department in the School of Public Policy at the University of Birmingham, UK. Munawwar Alam is Adviser on Subnational Government and Administration at the Commonwealth Secretariat. Simon Delay is a consultant and Lecturer at the School of Public Policy at the University of Birmingham, UK. Roger Oppong Koranteng Senior Lecturer at the Ghana Institute of Management and Public Administration, Accra, Ghana. Pritha Venkatachalam is a financial specialist and Senior Consultant at Cambridge Economic Policy Associates, UK.